Today is world poetry day and since horses have been involved in the development of mankind since ancient times, it is no wonder that horses have featured heavily in art. Whether it be paintings, poetry, or stories, our fascination of the horse can be seen everywhere. Even in the early days of Alexander the Great, his horse Bucephalus was well documented with there being stories that this brave war horse was scared of his own shadow. I’m not sure how many other animals from this time are remembered by name. I’m sure we have all read beautiful poetry about the horse and there have even been world famous books and films all about horses. Just look at the success of War Horse and Black Beauty. You don’t have to be a horse lover to appreciate and love the horse in these stories. 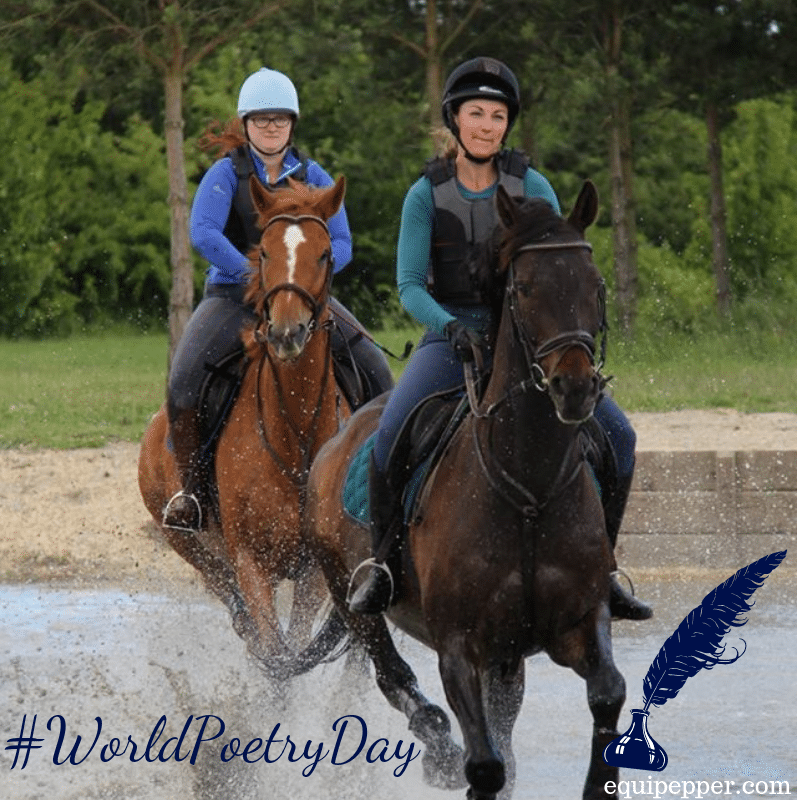 So, since it is World Poetry Day, I thought it would be a great time to contribute to world of poetry by honoring the horse in my own way. Now as much as I would love to be able to share with you a beautifully written Shakespearean sonnet, I am afraid poetry has never been my strong point. So I thought I would go down the limerick route instead as that’s a bit more my speed! Plus Scottie has been a bit of a mud gremlin recently so it seemed fitting!